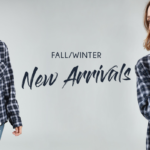 143 Story is both a manufacturer and a wholesale seller of its young contemporary clothing styles from its offices in Los Angeles. The brand strives to provide the best quality of garments that are fashionable yet affordable. It targets the free, young urban woman. 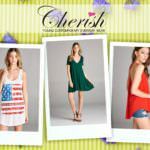 You can get the brand from leading fashion stores and garment outlets from across the U.SA and markets out of the U.S.A.
Are looking for some stylish top to wear with your tight pants, shorts, or dresses? You can find a wide variety of tops from the brand that includes the banded neck tops that feature a flowing dress and a neck key hole with a band round the neck. You may also check out the high neck, sweep hemline dress tops or the Robin Egg curved peplum tops. There is also lace up tops for those that love the style. 143 story dresses range from the evening dresses, maxi dresses, and the short chic dresses. One of the unique collections from the manufacturer is the classic tie and dye dresses that come in a variety of colors and prints. Other popular styles include boho sleeveless ruffle dresses, and strapless dusty rose dresses, maxi dresses with trim hi-lo hemline and the knee length side pocket free-flowing dresses. The pant collection includes a variety of oversized and tight pants, shorts and rompers. The brand has a wide variety of printed and striped pants and bottoms for the women that love different color combinations in their outfits. Some of the unique collection includes the border print striped jumpsuit that comes with abstract contrasting prints in gray or floral colors. There are also the printed circle rompers that come in a variety of colors with most prevalent being the red color. You can also go for the bell-bottom flare legs pants with a variety of stripes prints or various checked color combinations. The cardigans and outerwear choices from 143 story include the fringe hemline floral cardigans, the hoodie satin overcoat and the abstract print flowing cardigan. There are also a wide variety of fleece jackets for the cold season and satin overlaps for the chic hot weather outwear. 143 Story also stocks a variety of seasonal specials that are updated on the website from time to time. The manufacturer also showcases the new styles that the company is churning from their production lines from time to time. The retailers that sign up to the brand are given an opportunity to retain a credit account after creating a relationship with the manufacturer. They are also able to check the status of their orders from their online accounts.